A decree of October 5th, 1793, promulgated on November 24th of the same year, introduced the French Revolutionary (or Republican) calendar, based on the decimal system. It was declared to begin retroactively on September 22nd, 1792, the day the Republic had been proclaimed and the autumn equinox. The year was divided into twelve months, each with three ten-day weeks or décades, in compliance with the metric system. Five additional days (six in a leap year) were placed at the end of the year. The same decree of October 5th, 1793 imposed the decimal hour. Henceforth the twenty-four hour day was divided into ten hours, each with 100 minutes and each minute having 100 seconds. 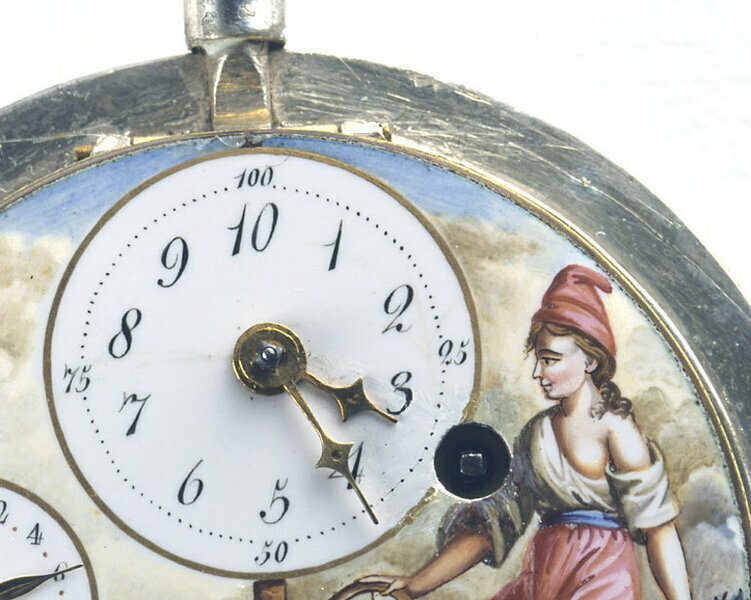 A decree of February 9th, 1794 launched a competition inviting scholars and clockmakers to provide practical solutions to this new decimal time. However, very few sundials, watches or clocks were made to this new standard. 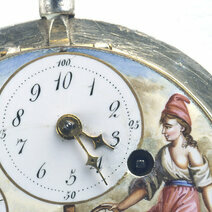 The decimal hour was never really adopted and was suspended, for an indefinite period, on April 7th, 1795. Napoleon I signed the decree by which the Revolutionary calendar was abandoned on January 1st, 1806. It was briefly reinstated by the Journal Officiel during the 1871 Commune. Variously-shaped ring for suspending a pocket watch and fastening a chain. Smoky quartz is the brown variety of mono crystalline quartz.